One of the most important service buildings in Alden and one of the oldest to have survived on its original site in the county is gone. The Chicago & North Western Railway train station built there in 1867 is dismantled. Like most others of its kind across the nation, it once served as the informational nerve center of the community: bridging the gap between this isolated, rural community and the greater world. Soon it will be completely out of sight, out of mind. Most early 19th century McHenry County communities were isolated collections of individuals, which sprang up along ancient Indian trails – where water to turn a mill wheel was available or a stand of oaks near open prairies could provide building materials and firewood, as well as food for foraging hogs. One such community was little Alden, Illinois. A land survey map from the late 1830s shows a much-traveled trail (now Alden Road) crossing a branch of the Nippersink Creek close to where the train station once stood. Towns like Alden were isolated because roads, more like trails, consisted of frozen ruts covered by drifts in winter, quagmires of mud in the spring and whirlwinds of dust in the fall. While summer may have been the best time to travel, one easily could become lost along the unmarked routes, which quickly filled in with tall prairie grasses. Historians call the agriculture practiced in the 1840s around such hamlets: sustenance farming. Folks ate what they grew and raised. The coming of railroads changed everything. The Alden citizenry were oblivious to scrutiny by Kenosha, Wis. entrepreneurs. However, these investors could see what was happening in Chicago. The same backers that sited a railroad to area farmlands beginning in 1848, planned to stretch a track from Kenosha on the shores of Lake Michigan to Rockford, located on the Rock River. After much wheeling and dealing (as outlined in Paul Behren’s fine book “The K-D Line”), surveyors hired by the Kenosha and Rockford Railroad laid out a right-of-way in 1856 which ran along the north side of Alden. Alden’s families and merchants celebrated. Now they could travel with ease almost anywhere they wanted, at any time. Now their farms could turn a profit. In early 1860, track-laying crews completed their work through Alden and passenger service began in late October 1861. A shed located on the west edge of the Alden Road, south of the Nippersink Creek, housed an agent, passengers and cans of milk waiting to be shipped. By 1862 the name of the railroad was changed to the Chicago & North Western. An increase in the amount of freight and passenger traffic in and out of Alden demanded more than just a shed. In about 1867, a new station with a passenger waiting room on the east end, an agent office in the center and a freight section (which occupied half of the building), was built on the shed site. Oak studs anchored the square nails that affixed pine siding. Painted in railroad Tuscan red, it became the proud central focus of the community. Charles B. Wright was the first agent to work the counter in the new station, according to an agent's listing at the C & NW archives for 1867. Soon a creamery, a stockyard and a feed store crowded around the station giving agent Wright a lot more to do than just sell passenger tickets. Unfortunately, the C&NW decided that most rail traffic would be sent from Chicago through Harvard toward Madison, Wis. and the northwest – not through Kenosha and the K-D line. The “Great Depression” meant the end of rail traffic through Alden. Paved roads and reliable automobiles soon brought an end to almost all passenger traffic. In 1939, the C&NW was allowed to abandon the line through Alden and trains no longer chugged to a halt in the community. In the late 1940s, the passenger waiting area of the station was turned into a barbershop but by the late 1950s the station was used for nothing more than storage. The office shelf where the agent stamped the travel tickets and the interior walls, which once heard the laughter of excited children waiting for the steam beast to carry them to another world, are silent and moldering. Depot owner Ervin Bottlemy said his father, Ervin G., and uncle, Charles, bought the station – located adjacent to their welding and engine repair business, Bottlemy Brothers. Later the younger Ervin and his brother, Glenn, bought out their uncle’s share. 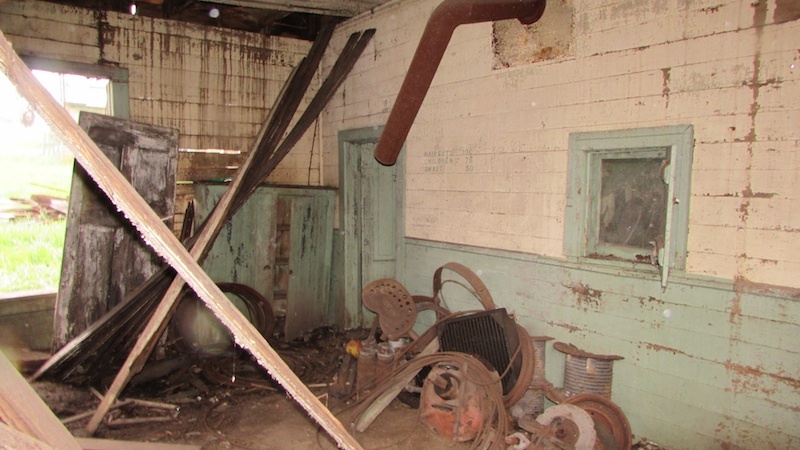 Year after year the station tried to withstand the elements, but it was a losing battle. People whizzing past on Alden Road hardly noticed the rotting structure. But Dan Beck, owner of Crandall’s Restaurant in Hebron, did notice. “It’s too bad they couldn’t have put a roof on that building 10 years ago,” Beck said. 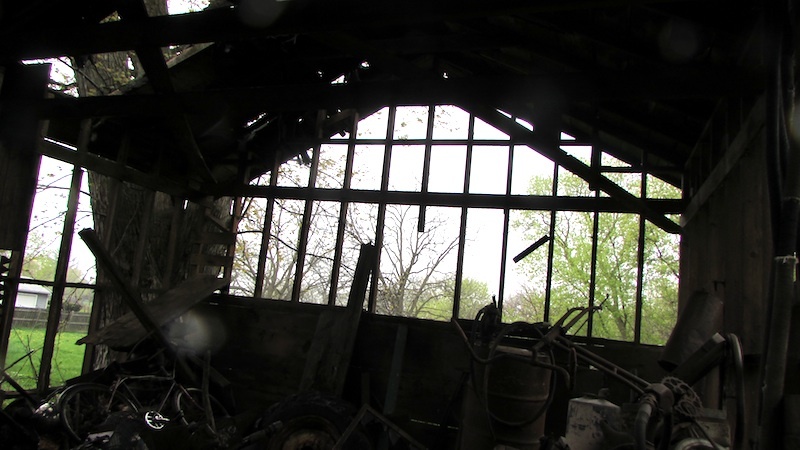 He approached Erv Bottlemy with an offer to take down the depot in exchange for the siding. Beck plans to use the siding in the entryway of the restaurant. 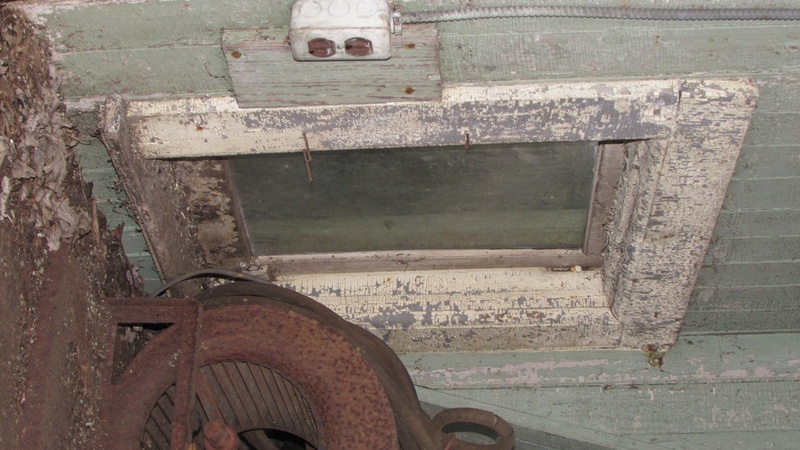 Some of the rail-related architectural elements that have survived – such as the ticket window – are being donated to the McHenry County Historical Society Museum in Union. • Craig Pfannkuche is retired history teacher, genealogical researcher and volunteer at the McHenry County Historical Society from Wonder Lake. MCHS administrator Kurt Begalka contributed to this report.